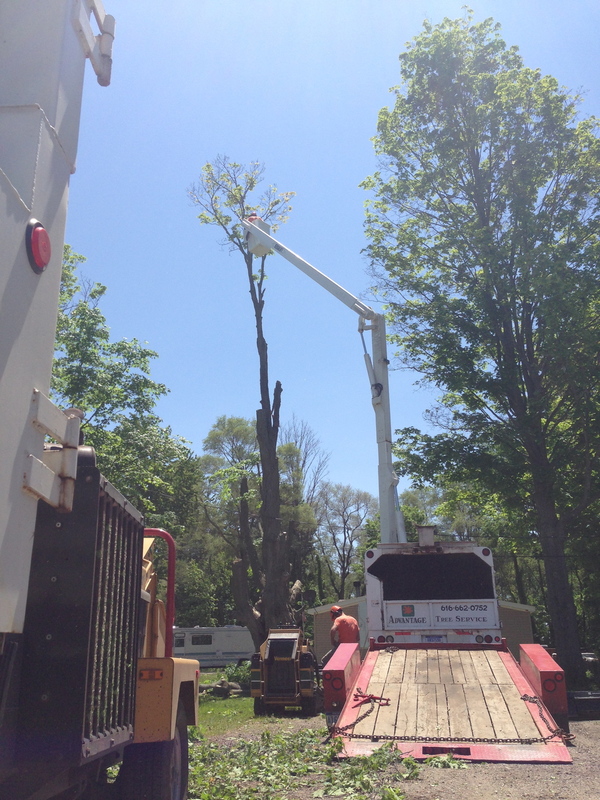 Here is a look at a removal we did in the summer of 2015. This old oak tree was infected with carpenter ants. After a strong storm came through, the homeowners decided the tree was a liability. The trunk was very weak and leaves were showing signs of distress. 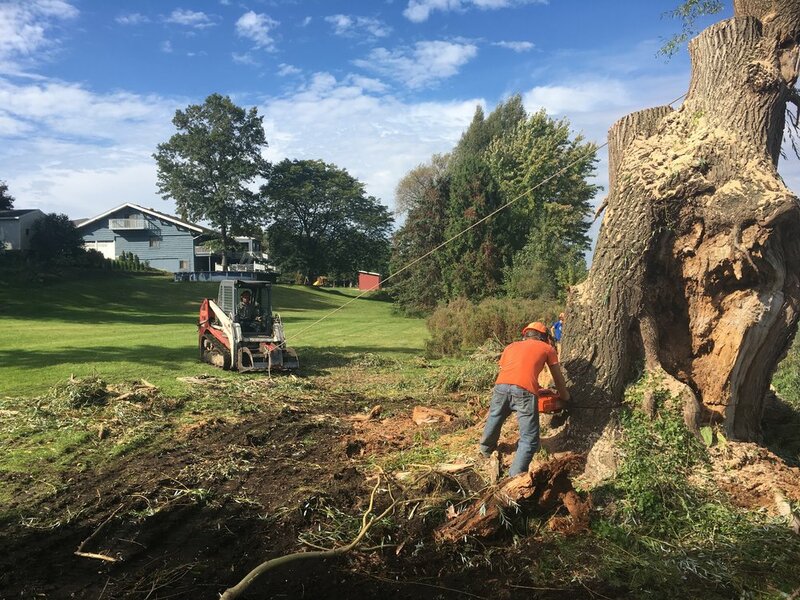 It is always sad to remove mature beautiful trees such as this, but when safety becomes a concern it's important to act appropriately .